I distinctly remember someone tweeting me this app was great and it was on Ovi Store but I can’t for the life of me find it on my mentions list. Anyway just saw @bharadc23 twitpic some screenshots and it reminded me to post about this app. At least I think it was this app they mentioned. Flowd – The Music Lovers’ Social Network Flowd is the perfect app to follow your favorite music acts ’ moves and grooves! Flowd lets you chat directly to artists, find fellow fans, check into gigs and enter promotions; get all the hot artist news or discover new music! Flowd also brings you features to connect with your friends, as well as location features for checking into places and gigs. Con nect Flowd to Facebook and Twitter and it becomes the one stop shop for your social networking! If you have some use in following your favourite music acts, then this is a great app for you. It’s certainly extremely slick. Rafe Blandford from AAS ( I can’t find a post there about it but his YouTube RafeAAS), has a demo for us to show Flowd in action. 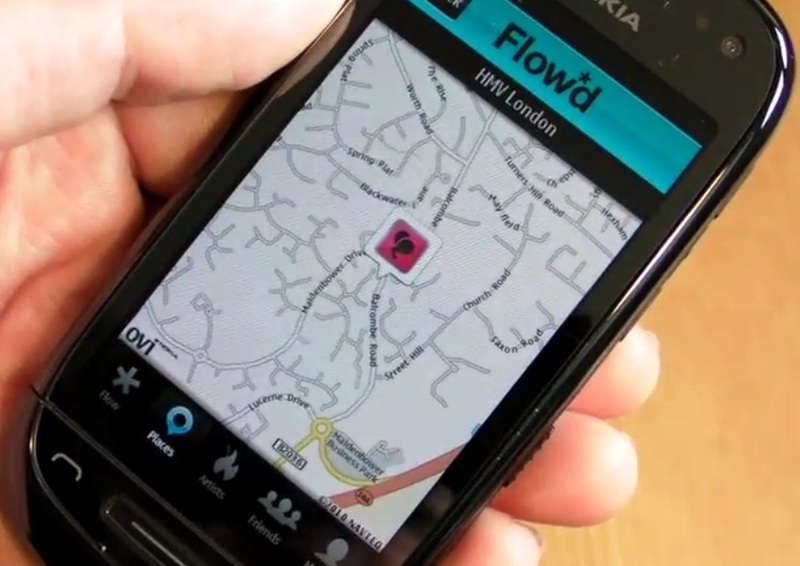 Here’s a quick review of the Flowd app by Digia. It’s a social networking application with an emphasis on music. It’s one of the first applications that uses a user interface enabled by Qt Quick (QML) to be be available in Nokia’s Ovi Store. Very nice Ovi Maps integration going on there. Although we’ve seen a lot of fantastic Qt apps, I’m very much surprised how much smoother this one looks. We might afterall have a promising new Qt based UI with Belle/PR 3.0 – if it ever comes.